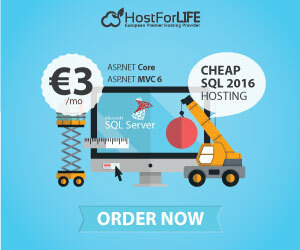 SQL Server 2012 Hosting - HostForLIFE.eu :: How to Clearing Down A Database Full Of Constraints In SQL Server? In this post I will show you how to Clearing Down A Database Full Of Constraints In SQL Server. Have you ever been in a scenario where you have to clear down some data within a database that is chock full of constraints but don't want to wipe out your precious relationships, indices and all that other jazz? I found myself in a similar situation earlier this week, and needed a clear-down script that would wipe out all of the data within an entire database, without being bothered by any existing constraints. Here it is. EXEC sp_MSForEachTable "DELETE FROM ?" EXEC sp_MSForEachTable "ALTER TABLE ? WITH CHECK CHECK CONSTRAINT ALL"
The script itself takes advantage of an undocumented stored procedure within SQL Server called sp_MSForEachTable that will actually iterate through all of the tables within a given database. Now that we know we are going to be looping through each of the tables within the specified database, let's see what is going to happen to each of the tables. This will disable any constraint checking that is present on the table (so, operations like deleting a primary key or a related object won't trigger any errors). This will delete every record within the table. This re-enables the constraint checking, bringing your table back to its original state, sans data. It is very important that you properly scope this query to the table that you are targeting to avoid any crazy data loss. While I don't think that you could just leave that out and execute on master, I wouldn't want to even risk testing that out (although feel free to try it out and let me know if it nukes everything). After you do it, SQL server will be up and running again. SQL Server sometimes stops because of some problem. These steps help to make it up. Thanks for reading. SQL Server 2012 Hosting - HostForLIFE.eu :: How to Upload Excelsheet Data In SQL Server Table? 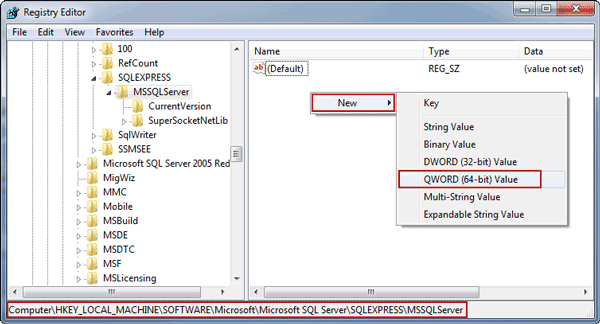 In this post, I'll share few useful SQL queries for database analysis on SQL Server 2012. I shared few SQL queries useful in analyzing database, which I use quite often. This query will return all table names and no.of rows in it for built-in tables. This query will return column names and its data type of a table. This query will return file name, its size and file group name of a database. Batch file to execute all sql files in a directory, Save it as .bat in a folder that have sql script files to be executed. In this tutorial, I will explain about inline queries. Most of the developers are very familiar with inline queries. Inline queries are basically known as sub queries or Inner Select statements which are always used inside a SELECT, INSERT, UPDATE, or DELETE statement, or inside another inline query. They can be used anywhere in SQL scripts to encounter the conditional expressions. The SQL statement containing an Inline query is also known an outer query or outer select. How can Inline Queries helpful? Most of the T-SQL statements which include inline queries can be alternatively formulated as join to encounter the conditional expressions. Other questions can be posed only with inline queries. In T-SQL, there is usually no performance difference between a statement that includes an inline query and a semantically equivalent version that does not. However, in some cases where existence must be checked, a join yields better performance. A regular SELECT query including regular select list components from the main table. A regular FROM clause including one or more table, function or view names. An optional WHERE clause to encounter the conditional expressions. An optional GROUP BY clause if your query contains aggregation functions. An optional HAVING clause if your query contains aggregation functions. Operate on lists introduced with IN, or those that a comparison operator modified by ANY or ALL. Are introduced with an unmodified comparison operator and must return a single value. Are existence tests introduced with EXISTS. Now, we have the tables and want to pull the order and customer wise total sales. It’s very beneficial concept in SQL and we can use them inside a SELECT, INSERT, UPDATE, or DELETE statement, or inside another inline query. They are easily applicable in the function and stored procedure. These features are important in some Transact-SQL statements; the inline-query can be evaluated as if it were an independent query. Conceptually, the inline-query results are substituted into the outer query. From SQL Server 2012 version, when SQL Server instance is restarted, then table's Identity value is jumped and the actual jumped value depends on identity column data type. If it's integer (int) data type, then jump value is a thousand and if huge integer (bigint), then jump value is ten thousand. From our application point of view, this increment isn't acceptable for all the business cases especially once the value shows to the client. this is the special case/issue ships with only SQL Server 2012 and older versions don't have any such issue. A few days ago, our QA Engineer claims that one of our table's identity column jumped ten thousand. Which means the last identity value of that table was 2200 now it's 12001. In our business logic is like that the value shows to the client and it will not be accepted by the client. So we must solve the issue. The first time, we all are surprised and confused on how it's possible? we usually don't insert any value in identity column (insert value to identity column is possible). The identity value is maintained by SQL Server itself. one of our core team members started investigation the issue and found out the solution. Now, i want to elaborate the issue and solution that was found out by my colleague. The result is as expected. Now just restart your SQL Server service. There are various ways in which you can do it. We did it from SQL Server management studio. Now you see that after restarting the SQL Server 2012 instance, then identity value starts with 1002. It means it jumped 1000. Previously, I said that we also see if the data type of that identity column is bigint, then it will jump 10000. Microsoft declares it is a feature rather than a bug and in many scenarios it would be helpful. But in our case, it would not be acceptable because that number is shown to the client and the client will be surprised to see that new number after jump and the new number depends on how many times SQL Server is restarted. If it is not visible to the client, then it might be acceptable so that the number is used internally. If we are not interested in this so called feature, then we can do two things to stop that jump. 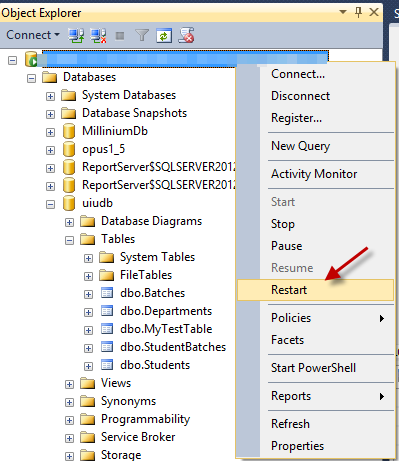 How to Register -t272 to SQL Server Startup Parameter? If too many tables contain identity column to your database and all contain existing values, then it is better to go for solution 2. Because it is a very simple solution and its scope is server wise. This means if you add SQL Server 2012 parameter -t272 there, then it will affect all your databases there. If you want to create a new database and you need auto generated number field, then you can use solution 1, that means use sequence value to a column instead of auto Identity value. There are so many articles you can find online about when you will use auto identity column when using sequence and advantages/disadvantages of each other. I hope you will read all those and take the appropriate decision. 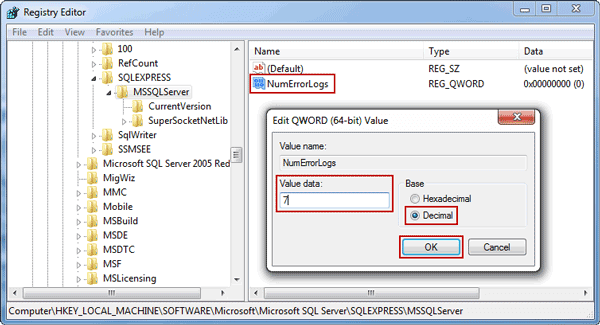 SQL Server 2014 Hosting - HostForLIFE.eu :: How to Empty and Deleter All SQL Database? Microsoft SQL Server saves 7 errorlog files by default. When new errorlog is made, the recent one will be deleted at identical time. If you wish to keep a lot of errorlog, you'll follow 2 ways below to manage number of SQL Server ErrorLog, including both increasing and decreasing ErrorLog number. Step 1: Open SQL Server Management Studio. connect with SQL Server with SQL Server Authentication. Tips: If user account password forgot, you'll only reset user password or change user forgotten password. 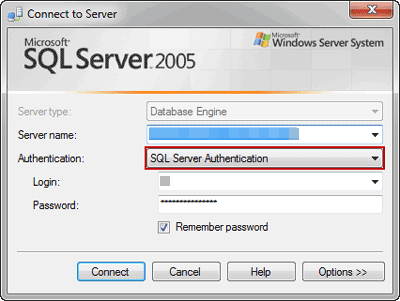 So login to SQL Server with SQL Server Authentication and new user password. Otherwise, even though you'll successfully connect with SQL Server with Windows Authentication, the following error still occurs as soon as you want to configure SQL Server logs. 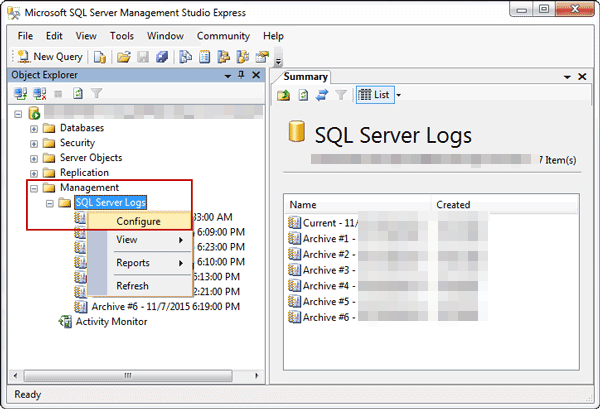 Step 2: Navigate to Management > SQL Server Logs. Right-click on SQL Server Logs and choose Configure. Step 3: In pop-up window Configure SQL Server Error Logs, tick the box "Limit the number of error log files before they are recycling". And set "Maximum number of error log" with willing number. Save changes at last before you close this window. Step 1: First, type regedit in Start box, and press Enter to run Registry Editor. 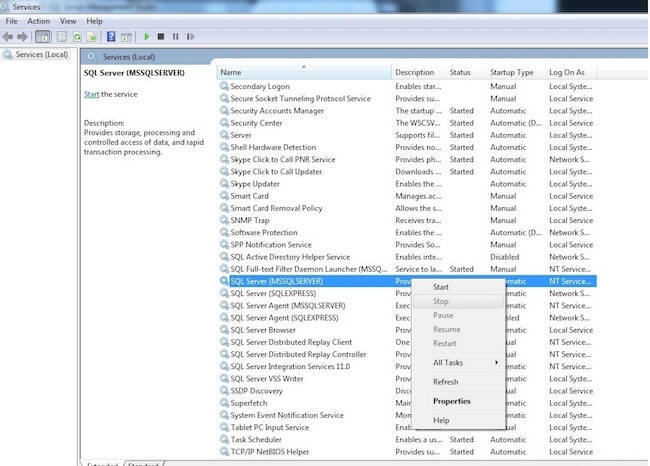 Step 2: Now, Locate to the following path(1 or 2) and create a new entry in registry editor. Right-click in the right blank pane of registry editor, and tap New > QWORD (64-bit) Value button in pop-up options. Step 3: Rename the entry as NumErrorLogs and double-click it to edit its value. Type a number that you want to save SQL Server ErrorLog file. Tick Decimal under Base and click OK.
Close Registry Editor and finish setting on increasing or decreasing number of SQL Server Errorog file. 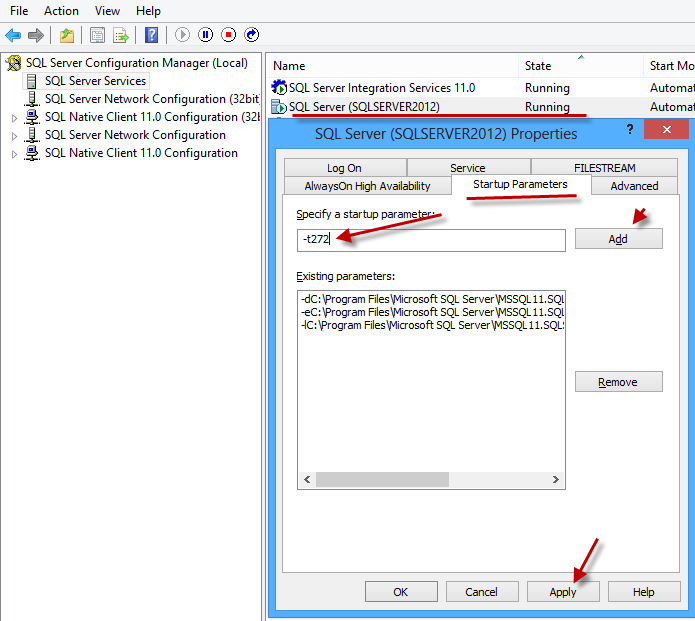 SQL Server 2012 Hosting - HostForLIFE.eu:: How to Configuring a Server Side Trace in SQL Server 2012? When I’m after SQL Server performance problems, SQL Server Profiler is still my beloved tool. Allthough i do know that extended events offer a mor light-weight answer, those are still a bit cumbersome to use (but I’ve seen that we are able to expect some enhancements with SQL Server 2012). When I’m using profiler to isolate performance problems, I attempt to tack server side traces, whenever doable. luckily, SQL Server Profiler can assist you making a script for a server side trace (File/Export/Script Trace Definition), so you don’t have to figure out all the event- and column-codes. As i used to be doing a similar configuration again and again, i made a decision to separate the TSQL code for the configuration within a stored procedure. ,@maxFileSize bigint = 5000 -- Maximum Trace File Size in Megabyte. Trace will be stopped, if the filesize is reached. -- and no trace is started. For the parameters, see the comments. Don’t specify a string for the trace file. .TRC will be added automatically. ensure that the output file doesn't already exist. Otherwise you’ll get an error. 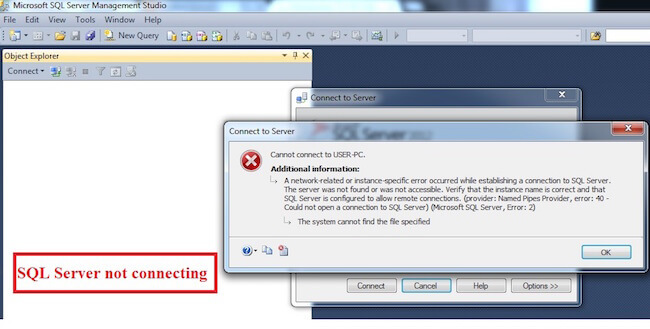 SQL Server 2012 Hosting - HostForLIFE.eu :: How to Create a User Defined Error Message in SQL Server? Here mcg_id is that the id of the message which might be between 50000 and 2147483647. The severity is the level of the message which might be between one and twenty five. For User defined messages we are able to use it a value of 0 to 19. The severity level between 20 to 25 may be set by the administrator. Severity levels from 20 through 25 are considered fatal. The actual error message is "msg", that uses a data type of nvarchar(255). the maximum characters limit is two,047. any more than that will be truncated. The language is used if you wish to specify any language. Replace is used once a similar message number already exists, however you wish to switch the string for that ID, you've got to use this parameter. The RAISERROR statement generates an error message by either retrieving the message from the sys.messages catalog read or constructing the message string at runtime. it's used to invoke the the User defined error message. first we produce a User defined error message using SP_addmessage and after that we invoke that by the use of RAISERROR.